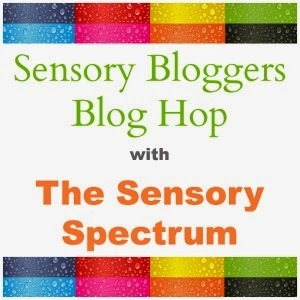 Welcome to this month's Sensory Bloggers Blog Hop. It's that day I focus on something from the archives of our family's journey with autism and sensory issues. This month, I am here to talk about when things just don't feel right...and I don't mean feelings. Let's talk clothes. If you have a sensory child (with or without autism), you know what I mean. The tag is poking me--scratching me--hurting me. There have been times when a tag in a shirt (God bless the tagless shirt makers) appears to be causing more pain and suffering than it would be if we broke an arm. You'd think the kid was being tortured to death...because of a measly little tag. If tags weren't bad enough, think about how jeans feel to a kid who doesn't like stiff or anything that would rub in funny places on your skin. It took us a REALLY long time to desensitize Nathan to jeans. They couldn't be new. I had to get a 'worn out' (or well worn) pair for him because then it moved more like clothes are 'supposed' to move. Underwear can be another really big issue. 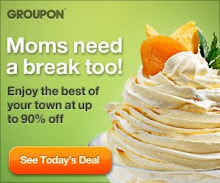 Thankfully, in our home, it wasn't a big deal. But I have one friend who just told me her daughter would only wear new underwear fresh from the package and insisted on changing each time she used the restroom. This friend would stay up ironing washed underwear to get it to appear new and put back into a package. It took some time to break that particular habit. Back in the days when we didn't know Nathan had autism or sensory issues, we had a lot of questions. Why won't this kid wear these socks (seam felt funny or hurt)? Why won't he wear anything that isn't athletic/swishy pants? Come on--can't you just put on the coat? (No, because if it's too thick it rubs funny on his arms and he can't stand the change in sensation.) Fast forward to today--he wears almost anything...well, at least for short times. He mainly wears athletic pants and jeans--even new ones...but he prefers I wash them first. He will tolerate shirts with tags, but prefers tagless tshirts. But, please don't cut the tag unless you can do it well...he doesn't like how the remnants poke him in the neck where you cut it out. You have to get really good with scissors to cut a tag. Good luck. How about you? Can you relate to any of the clothing feel issues? There are PLENTY of other clothing things though, trust me. One is, if there is a hair inside any of my clothes - AAAAARRRRRGGGGHHH. Mine won't wear jeans at all, no buttons allowed, no tags, hopefully no zippers either. Thank god for elastic waists! Yes, this sounds familiar! Now that my son is 10, he can wear jeans, even new ones! So don't give up :) He still hates tags thought, and shoes that fit properly. He prefers crocs, and tennis shoes that are too small but that have stretched large enough, haha!